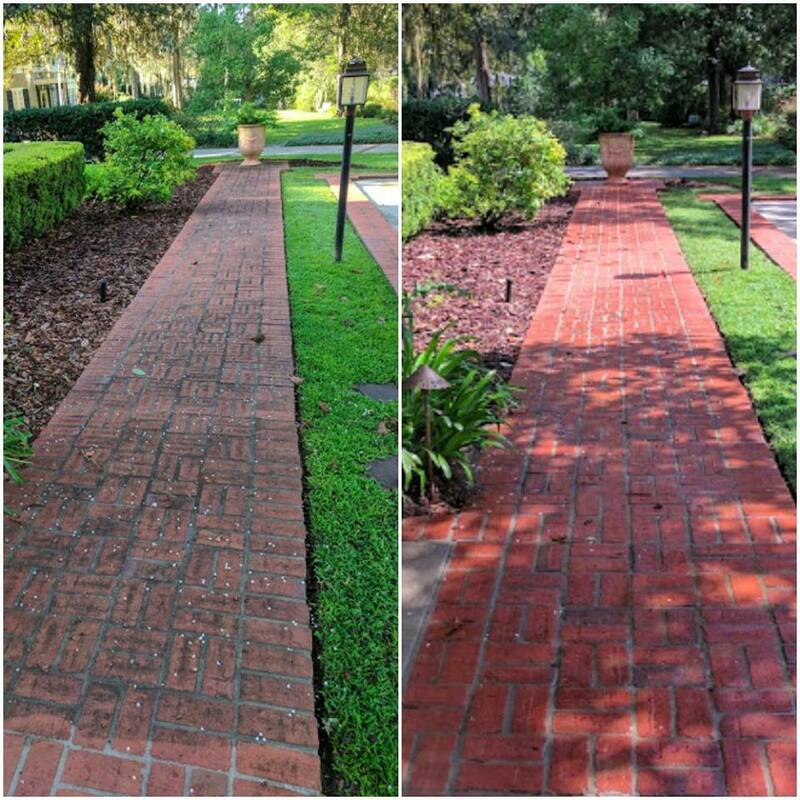 License to Wash is Ocala’s top choice for restoring the beauty of your brick pavers and preparing them for proper sealing. If they are not properly maintained, brick pavers can be marred by dirt, grime, moss, mildew, weeds, bird droppings, bacteria and other contaminants that are unsanitary and unattractive. At License to Wash, our professional grade equipment and appropriate cleaning solutions bring back the natural aesthetics of your brick pavers, while removing harmful molds, bacteria, and decreasing the potential for slips and falls. We care about your safety and your satisfaction.